Home » News & Updates » Why Was This Father’s College Tuition Obligation an Issue? Why Was This Father’s College Tuition Obligation an Issue? There’s no doubt that most parents feel some responsibility to ensure their children receive a good education. For those who decide to end their marriages, this often means negotiating payment for college at the time of the divorce. That said, you may want to know why one father had an issue with his college tuition obligation for his daughter. The Court of Appeals at Nashville decided Christy Keller Elrod Church v. Darrell Gene Elrod on March 25, 2019. 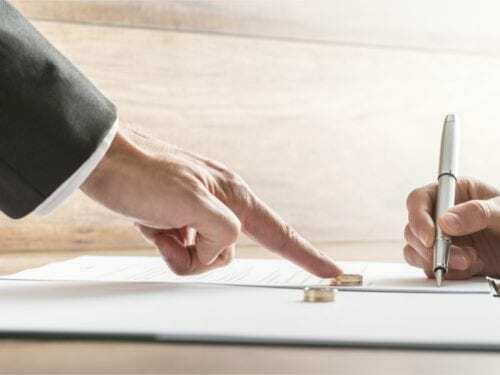 The post-divorce petition involves multiple questions of law. Among them is interpreting the father’s financial responsibilities concerning college tuition payments. The background presented in the court’s opinion does not provide information as to when the couple’s marriage began. However, on August 20, 2002, they entered into an Agreed Order of Separation (“AOLS”). On February 14, 2005, the couple formally divorced. The Final Decree essentially incorporated the language of the AOLS as part of the divorce. Fast forward to 2017. Only one of the children from the marriage remains unemancipated. Shelby is a student at the Indiana University-Perdue University Indianapolis (IUPUI). Her tuition and other associated college costs total approximately $44,061.41 per year. Notably, the in-state tuition cost for the University of Tennessee, Knoxville is $12,724.00 for the school year starting in 2016 and ending in 2017. For that same school year. Shelby earned $27,515.76 in scholarships and sponsor fees. She received this amount as a credit towards her total cost of attendance. This left a balance due to the school for $16,545.65. Darrell acknowledged his obligation to pay a portion of Shelby’s tuitions and books. However, he found it only fair to deduct the money his daughter received from outside sources. This left Shelby and her mother to come up with the balance of the college expenses. The trial court considered the matter and disagreed with Darrell’s decision to offset the payments. In doing so, the lower court relied on more than one Court of Appeals ruling. In Bowling v. Bowling, the parties’ daughter attended school where her mother worked. In the Bowling matter, the mother received tuition credit due to her employment. The father felt his obligation to pay half of his daughter’s college expenses should be reduced since the mother’s responsibility was lessened. The Court of Appeals disagreed, saying that the father’s contractual obligation did not change the computation of the father’s share of the tuition. In the meantime, the court considered another issue. As you may recall, the AOLS only required Darrell to contribute to payments for tuition and books. Yet, the over $44K due to Indiana University-Perdue University Indianapolis also included Shelby’s full meal plan, housing, and other fees. Citing other precedential legal opinions, the Court of Appeals found Darrell liable for the cost of tuition and books, less the scholarships and sponsor fees. However, there was still the issue of determining how to apply the scholarships and credits. All things considered, it was difficult to differentiate which credits applied to tuition costs rather than other expenses. The Court of Appeals used the 2016-2017 school year to make its first determination. After scholarships and fees were deducted from the total cost, $16,545.65 remained. Once Darrell paid the agreed upon $12,724.00, the remaining balance equaled $3,821 for that school year. Shelby and her mother needed to come up with that amount. The case was remanded to the trial court to provide Darrell with instructions as far as his obligations for each school year after consideration of any credits. Are you confused about your obligations regarding college tuition when you divorce? Providing for your children’s education can be costly. At Martin Heller Potempa & Sheppard, PLLC, we help clients negotiate these types of matters. Contact us to see how we can assist you.